BEND, OR -- Oregon State University's Bend campus set a record, this fall. More than 1,250 students are enrolled at OSU-Cascades; a 4.6% increase over last year. School officials say the 113 incoming first-year students represent its largest and youngest first-year class. Their average age is 25 and 16% are under the age of 20. They say 85% are from Oregon and 23% are students of color. The fall enrollment report also shows a 7% increase in full-time students. 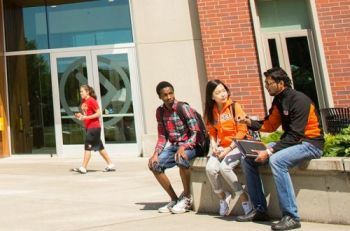 Across all Oregon State University campuses, enrollment grew by 107 students, making OSU the largest university in the state for the fifth straight year.